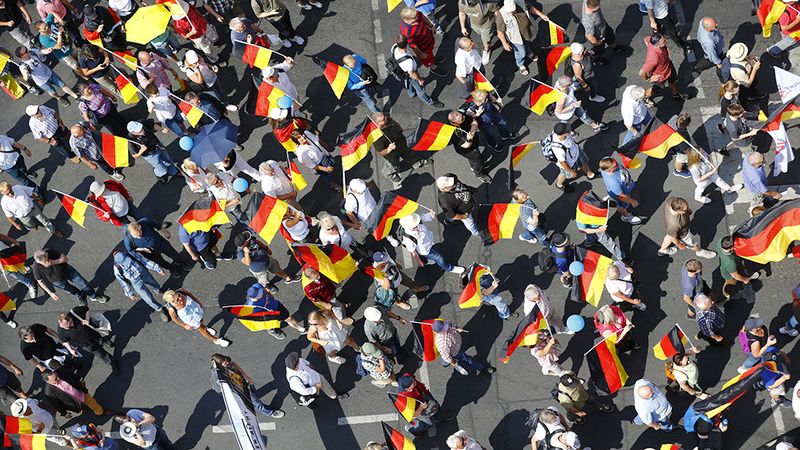 The far-right AfD has gained ever more popularity since its breakthrough in 2017. The party’s rise has been aided by German media and politics, and its rise is set to continue. Political journalists in Berlin often do a thing called a Hintergrundgespräch. This “background conversation,” as the English translation would be, involves gathering in an airless room of a ministry or a party HQ with a group of favored colleagues and some alpha politician, who then tells you what’s what. Or what’s really what. The mood is relaxed and pally, and the etiquette is: recording devices and photos are not allowed, and though notes may be taken, direct quotes can’t be used. Free drinks are provided. The first time I went to a Hintergrundgespräch, not very long ago, a heavy realization dawned on me: This is why people hate us. This is why people vote AfD. I’m not the only journalist who feels that the political class and the press in the capital have gotten used to their cozy arrangement. This exacerbates the impression that political journalists are being spoon-fed their stories by politicians. For a country that guards stability so carefully, the Alternative für Deutschland (AfD) is an electoral phenomenon. 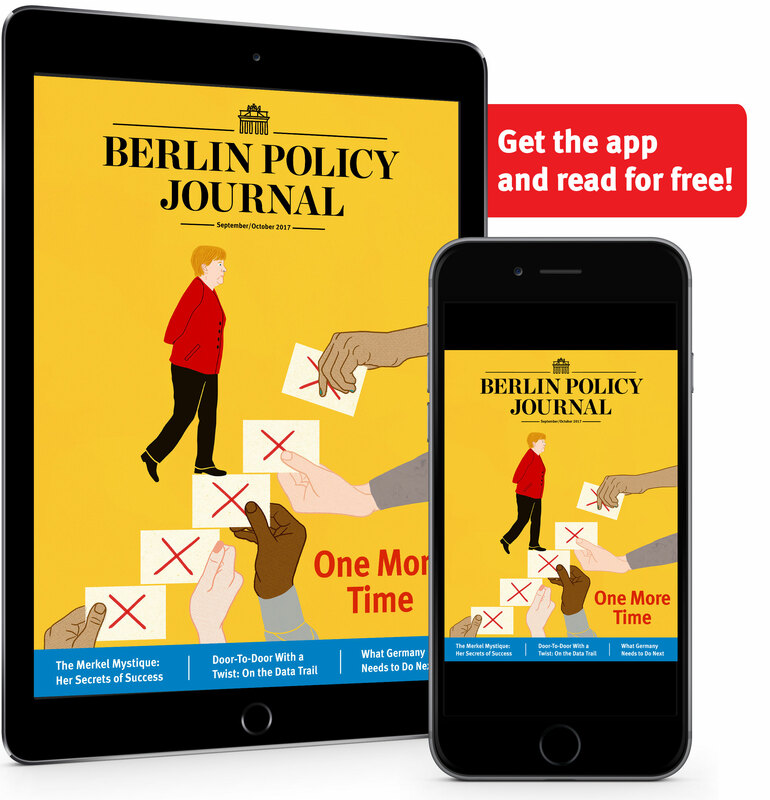 In its five-year life, this unashamedly populist and often ill-disciplined party has become the third biggest group in the German parliament, the Bundestag, and has put representatives into all state parliaments—the last one on October 28 in Hesse. And it’s not certain that they’ve plateaued. The AfD’s popularity has only ballooned since the national election breakthrough in 2017: more than 15 percent of German voters currently declare for the AfD, up from 12.6 percent in September 2017. The party’s stronghold is in eastern Germany, where it attracts nearly one in four voters. The AfD is still fundamentally repugnant to all the other mainstream parties, who have ruled out joining coalitions with them (though the resolve of the Christian Democrats in Saxony, a bastion of right-wing politics, is beginning to crumble). This is mainly because it harbors open racists and flirts with revisionism about Germany’s remembrance for the Holocaust (a shrill dog-whistle to Germany’s big neo-Nazi scene). A couple of obvious factors have helped the AfD get itself established in the German party system in the past year: weariness with Chancellor Angela Merkel after she formed yet another centrist government between her conservatives and the Social Democrats, coupled with exasperation that this new Merkel administration has done little more than lurch from one crisis to the next, tearing itself apart over the perennial problem of refugee policy. In fact, migration is almost never out of the news, even though the “refugee crisis” is now more than three years old, and Merkel has done all she can within legal limits to close Germany’s borders. Florian Hartleb, political scientist and author of a book on European populism, thinks this last point is crucial. Ever since Merkel’s fateful decision in 2015, the media made things too easy for the AfD, first by relentlessly demonizing them, and then by keeping their most important issue on the front pages. But the origins of the AfD pre-date 2015, and, if you believe the party’s strategists, the refugee crisis was simply the moment when 15 years of frustration with complacent German centrism finally crystallized around it. “The refugee crisis broke the trust in established politics,” says Rainer Erkens, an AfD member who lives in Berlin. “For years politicians were doing things that they did not have a mandate for, which were not even remotely an issue in elections.” He goes on to list all the decisions made by successive German governments “over the people’s heads”: creating the euro, the Hartz IV social welfare reforms, abandoning nuclear power, abolishing military service, and bailing out Greece in the aftermath of the eurozone debt crisis. But there’s another feeling that AfD voters share, according to Erkens: an all-pervading pessimism. “If you really want to understand why people like the AfD, then you have to see that people who vote for the AfD have a specific image of Germany. And this image is: Germany is going down the drain,” he says. 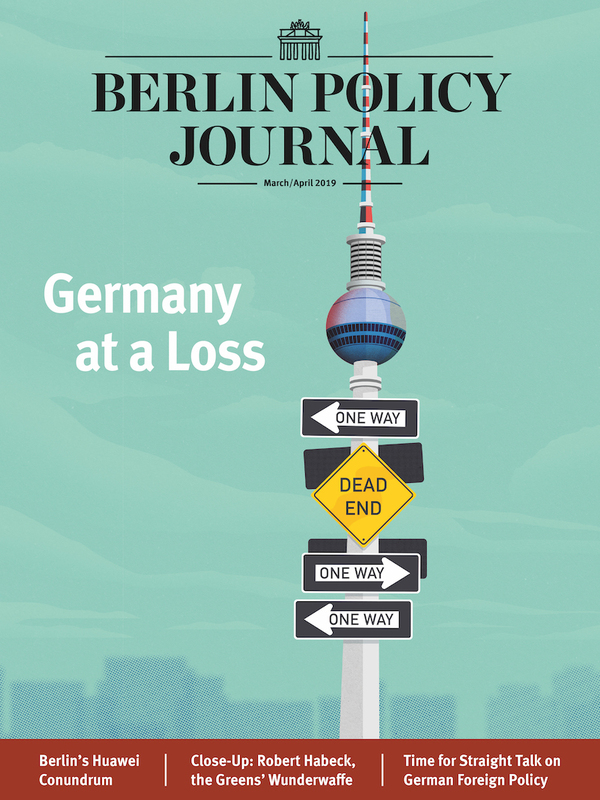 Then comes another list: the images of Germany’s deterioration; the state of the Bundeswehr; the “energy transition” to renewable sources running out of steam; the debts of other EU countries; the alleged “Islamization” of German society; and, as Erkens puts it, “what does climate protection even mean, and how much will that cost us?” All these are the weeds creeping underfoot, destabilizing Germany’s economic power. More than this, the media’s fixation on such outbursts, and on dubious figures like Björn Höcke, who was almost thrown out of the AfD in 2017 for describing Berlin’s Holocaust monument as a “memorial of shame,” only pushes AfD voters into protecting their leaders. is a freelance British-German journalist, podcaster, and filmmaker in Berlin.